facelift, the latest update for Android gives you new ways to add, locate, and share from Drive. The search tool makes it even easier to find the content you’re looking for by updating results as you type each letter into the search box. Now, you can add a custom message when you share a file so your collaborators know why you sent it—for example, you can add a note asking for feedback. You can also turn on link sharing to make the file “public” and set access to view, comment, or edit. This automatically copies the link to the clipboard and allows you to paste it wherever you want. 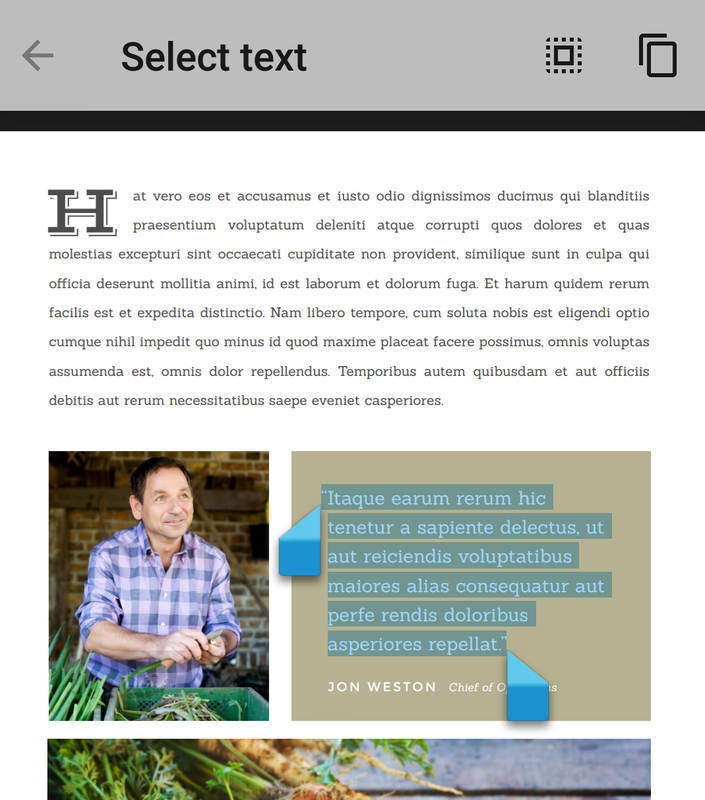 A new PDF viewer lets you find, select and copy text in PDFs, plus, it’s built right into Drive so you don’t need to launch another app. Look for these updates to roll out over the next several days. 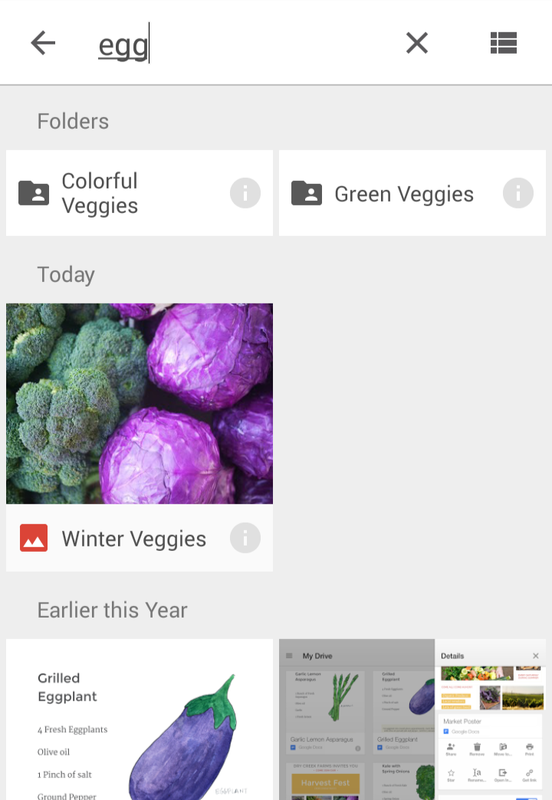 If you don't have the Google Drive app, you can download it from Google Play. Google Drive makes it easy to keep your stuff safe and accessible from any device, but it doesn’t stop there. We want you to easily find and share your documents, photos, and PDFs with others. So, in addition to a Material Design facelift, the latest update for Android gives you new ways to add, locate, and share from Drive.